Do you have other questions about AudioLabel? Post them here! I have been using Audio Label 4 for several years now and am completely satisfied, I even use it for DVD custom covers. Recently I found this very versatile program useful in my genealogy but find that the fold lines in both the case and insert interfere with making my genealogy charts. 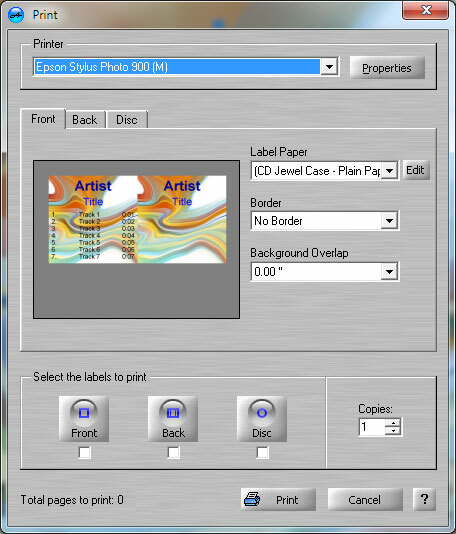 Can these be blocked out or removed temporarily so I can create a template for my alternative use, as I still need them when making the cd/dvd case and insert. I tried to paste a blank over the lines but they still show through. Any help would be greatly appreciated. Thank you for your quick reply with an answer that is so simple and reflects on how easy this application is to use.